In late February 2018, Radio Free Europe (Jozwiak 2018) reported on a draft recommendation by the European Union Foreign Affairs Council. In this draft, the Moldovan Government was urged to increase its fight against corruption and, in particular, to restore the public trust in the judicial system. It was not the first time the European Union has tried to influence the government in Chișinău in this regard. As far back as 2002 the Council of Europe (Council of Europe: Parliamentary Assembly 2006) raised the issue of judicial autonomy and suggested modifications of the nomination procedure for judges – a process that is equally important for the functioning of the rule of law as well as the influence of the president on the judiciary. In the following, two issues with judicial autonomy in Moldova will be discussed – the process of seating the judge (appointment) and the presidential involvement and the ability of the president to unseat or remove the judge (tenure): both processes are vulnerable to presidential meddling. This meddling is also one of the main points of criticism, but as will be discussed, this criticism is probably only an easy way out of a more complex situation. In any democracy, the judiciary plays a major part in the development of democracy and its resilience against autocratic backsliding. 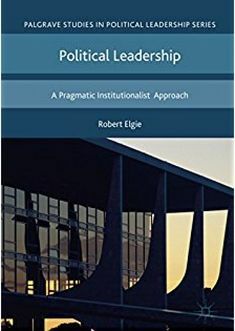 Yet, judicial institutions are also political institutions that undergo the same pressures of self-interested political actors as other political institutions (Magalhaes 1999). At the same time, research shows that judicial independence is of utmost importance to democracy (Helmke 1998). Constitutional and statutory regulations are a first step, but “(i)ndividuals whose judicial careers are not secure are more susceptible to outside influences” (Herron and Randazzo 2003: 425). Hence, the intertwined relationship between the president and the judiciary is not a new problem the European Union has just discovered. Several scholars pointed to the role of tenure for impartial decisions (Helmke 2002; Herron and Randazzo 2003). Moreover, various international actors emphasize the importance of the tenure of judges for a functioning rule of law in the Republic of Moldova. In theory, the appointment or reappointment of a judge should limit as much as possible the political pressure placed on them. Legal reforms have taken up this challenge in recent years. But like other countries, the provisions in the Moldovan Constitution regarding the president’s role in the nomination procedure of judges is insufficient and does not clearly state any provisions in case a conflict arises. All ordinary judges in Moldova are directly appointed by the president on the basis of the recommendation of the Superior Council of Magistrates (Consiliul Superior al Magistraturii), the president has 30 days to decide and request information on the candidates. The president can refuse the appointment, but after Superior Council of Magistrates put the candidate forward for a second time with a 2/3 majority, the president must agree to the appointment. Furthermore, the 1994 Moldovan Constitution stipulated a 15-year period between the appointment of a judge and the tenured position; this was shortened to 5 years (Art. 116) in 1996. It was widely considered that this amendment (initiated by then-President Snegur) was an important step towards the strengthening of the independent and autonomous position of judges and therefore the rule of law. Yet, it is also clear that the general idea of allowing the president to appoint judges or to grant tenure threatens the basic judicial autonomy and freedom of partisan influences of those judges. After President Voronin came into power in 2001, the threats against the political autonomy of judges increased. Reports on the political pressure on the judiciary became more serious (Freedom House 2003), the president increasingly used his power and refused to prolong the mandate of judges (Freedom House 2003). In 2012, the Parliament of the Republic of Moldova decided on a judicial reform concerning in particular the appointment and tenure of judges (for a detailed overview of the individual reform laws see Hriptievschi et al. 2015). Since then – theoretically – clear criteria for the appointment and career of judges as well as “mandatory performance evaluations  (and) the establishment of the Judges’ Selection and Career Board” (Hriptievschi 2017, 3) should guarantee an independent judiciary. Yet, several judges appointed since then face severe accusations against their integrity. They were appointed nevertheless, in some cases with the support of the president, but also after he (in this case Timofti) rejected the proposed judges (Hriptievschi 2017). Furthermore, the Superior Council of Magistrates is itself controversial, in particular because of a missing transparency in its decisions and ignoring the recommendations of the Judges’ Selection and Career Board (see e.g. Hriptievschi 2017).This is by no means a problem only observable in Moldova, similar conflicts can be found in Slovakia and Poland (see the blog post on Poland and on Slovakia). In 2016, the Moldovan Parliament discussed a constitutional amendment draft regarding the reform of the judiciary. Also, the Venice Commission proposed an amendment that would allow the president to reject a nomination by the Superior Council of Magistrates only once and specifies that the appointment and tenure decision has to be based on objective criteria, merit and a transparent procedure (Council of Europe 2018). These institutional criteria were already stipulated in the 2012 reform but putting them into the constitution could be an important step for a more serious judicial reform in the Republic of Moldova. To sum, the experience since the reform in 2012 shows that not only the involvement of the president but also the questionable decision making by the very instances endowed with guaranteeing judicial independence are a major problem. In addition, judicial behavior depends on more than institutional features: for a high degree of independence of the judiciary and its judges, a constitutional amendment only focusing on the presidential role will not suffice. Council of Europe (2018) Republic of Moldova Draft Law on the Modification and Completion of the Constitution. Council of Europe: Parliamentary Assembly (2006) Functioning of Democratic Institutions in Moldova: 10931, available at http://www.refworld.org/docid/44c4d7e74.html, accessed 10 April 2015. Freedom House (2003) Moldova Country Report, available at http://www.freedomhouse.org/report/nations-transit/2003/moldova#.U-CY-aMd0X8, accessed 5 August 2014. Helmke, G. (1998) Toward a Formal Theory of an Informal Institution: Insecure Tenure and Judicial Independence in Argentina, 1976-1995. Helmke, G. (2002) ‘The logic of strategic defection: Court–executive relations in Argentina under dictatorship and democracy’, American Political Science Review 96(2): 291–303. Herron, E.S. and Randazzo, K.A. (2003) ‘The relationship between independence and judicial review in post-communist courts’, The Journal of Politics 65(2): 422–438. Hriptievschi, N., Gribincea, V., Chirtoaca, I., and Guzon, I. (2015) Selection and Career of Judges, available at http://crjm.org/wp-content/uploads/2016/03/2015-01_DP-Selection-of-Judges_CRJM-EN1.pdf, accessed 10 March, 2018. Hriptievschi, N.(2017) Independence and Accountability of Moldova’s Judiciary under Threat, available at http://crjm.org/wp-content/uploads/2017/07/2017-04-Hriptievschi-judiciary.pdf, accessed 18 March 2018. Joswiak, Rikard (2018) EU presses Moldova on judicial reform, fighting corruption, available at https://www.rferl.org/a/eu-presses-moldova-judicial-reform/29057286.html, accessed 18 March 2018. Magalhaes, P.C. (1999) ‘The politics of judicial reform in Eastern Europe’, Comparative Politics: 43–62. This entry was posted in Europe, Moldova and tagged Moldova, president on March 20, 2018 by Anna Fruhstorfer. The constitutional choices made in the Republic of Moldova throughout the past 25 years cover an intriguing variety of executive-legislative relations. In the style of a ping-pong game (Fruhstorfer 2016), the idea of going back and forth between a parliamentary and semi-presidential system is a constant theme in the political discussion. At the moment, the game has moved back to a semi-presidential system. This change was not based on a constitutional amendment, but a decision of the constitutional court to declare the 2000 amendments unconstitutional (Constitutional Court 2016). This decision helped to diffuse the massive protests after a corruption scandal and bank heist in course of which the country lost approx. 1 billion USD (Kottasova 2015, see also Brett et al. 2015). During this crisis, the constitutional court showed an unprecedented level of judicial activism that was, as we will discuss below, no isolated case. It was the start of the Moldovan political elite relying on the constitutional court to help solve inter-institutional conflicts. It is also an example of how a ruling elite tries to preserve its hegemonic status (see Hirschl 2004). To address these issues, this post will briefly describe the chain of controversial decisions of the constitutional court concerning the president since 2016. This is followed by an analysis of the most recent decision to temporarily suspend the president. In a controversial and surprising decision in March 2016, the constitutional court ruled the 2000 constitutional amendment unconstitutional (Constitutional Court 2016) and de facto re-established the 1994 constitution and reinstated the direct election of the president. (For an analysis of this court decision, see an earlier post). The first presidential elections under the reinstated 1994 constitutional order took place in November 2016. Igor Dodon won the run-off vote with 52.28% of votes (47.82 voted for Maia Sandu). As in many semi-presidential systems, this led to a period of cohabitation with the government of Pavel Filip. This per se conflictual situation is exacerbated by the constant, yet informal influence of Vlad Plahotniuc. Plahotniuc is a wealthy oligarch, chair of the PDM (Democratic Party of Moldova), and is incredibly unpopular according to recent polls (IRI.org 2017, originally cited by Popșoi 2017). But he managed to transform the PDM that won only close to 16% of the votes in the 2014 parliamentary election into the main political force in Moldova. Right after the election, it was unclear how confrontational the Filip-Plahotniuc-Dodon relation might be. Since then, we have seen an “inter-institutional deadlock” (Popșoi 2017), which is, according to a variety of independent observers, only a sham to disguise how Plahotniuc and Dodon have consolidated their power with the help of each other. The activism of the court in recent years has often targeted the presidency, yet the suspension of the president in October 2017 and again in January 2018 added a whole new chapter to the already complicated relations between the president and government. Much of the reasoning behind the motivation of Dodon and Plahotniuc is highly speculative, so it seems useful to describe the facts first. In October 2017, the Moldovan Constitutional Court suspended the president temporarily. The reason was Dodon’s refusal to appoint Eugen Sturza as Minister of Defense, an appointment process that had already started in December 2016. Early in 2017, the constitutional court had issued an interpretation of Art. 98 of the constitution, whereby the president can only reject the nomination of a cabinet member once (Constitutional Court 2017). Thus, the repeated refusal to appoint Sturza led the government to appeal to the constitutional court again. The court first decided that the refusal to confirm a cabinet nomination is considered a violation of the constitution and can led to a temporary suspension. This suspension was issued by the court and was in force until the acting president (the head of parliament) appointed the new minister. (1) In the event where the President of the Republic of Moldova commits grave offenses infringing upon constitutional provisions, he may be suspended from office by Parliament if two-thirds of the members cast their votes in support of suspension. (2) The motion requesting the suspension from office may be initiated by at least one-third of the members, and it must be brought to the knowledge of the President without delay. The President may give explanations on the actions for which he is being censured before Parliament. A temporary suspension – not because of health reasons – is thus an invention of the constitutional court that sets a dangerous precedent. Two months later the government again appealed to the court to temporarily suspend the president from office, because Dodon refused to appoint seven new ministers. And again in early 2018, two days after the decision of the court on the second appeal, a third complaint reached the court for another temporary suspension, because the president refused to sign a law banning alleged Russian propaganda. According to Art. 98, the president has only a suspensive veto power, but has to promulgate a law after the initiative is reconfirmed by parliament. However, Dodon refused to promulgate the law and the interim president (again the speaker of parliament) appointed both the ministers and promulgated the law. Any assessment of the role of the constitutional court, the president and the head of the PDM in this complicated power structure is hardly possible without a partisan reading. Some describe Plahotniuc as a pro-democratic, pro-western figure and the PDM as the main party that guarantees democratic development (RFE/RL 2017). But Plahotniuc is also profiting from East-West tensions, has autocratic tendencies and is accused of corruption (Popșoi 2017a). In any case, he is a main player within the government, although he has no formal governmental role (he is member of parliament and chair of the PDM). Dodon’s role and motivations are less clear. On the one hand, he was the former head of the Socialist Party and has a declared pro-Russian stance. This is a logical explanation for his refusal to promulgate the anti-Russian propaganda law. On the other hand, he cooperated closely with Plahotniuc and the PDM to change the country’s electoral law to a mixed electoral system. This move was widely condemned by international actors (among them most importantly the Venice commission, see Venice Commission 2017). Some observers have even argued that Dodon has reached an informal agreement with Plahotniuc and informally supports the political course to hold his position (see for example Necsutu 2017). Authors have described this as a “political cartel narrative” (Popșoi 2017a) with the aim of a Russia-backed coalition between the Socialists (PD) and the PDM after the upcoming parliamentary elections in November this year. Beyond the speculation about the motives that led Dodon to comply with the course of Plahotniuc, it is clear that the constitutional court is instrumentalized in allowing the ruling elite to preserve their newly won influence and power. The inter-institutional deadlock is nothing new for the Republic of Moldova and neither is the issue of EU integration vs. close ties with Russia. Neither is necessarily beneficial for democratic development, but both always seemed possible to overcome. Yet, what will have a lasting influence on the downward spiral of Moldovan democracy is the unprecedented involvement of the court in the power struggle that will undermine what is left of the public’s trust in the constitutional court. Fruhstorfer, Anna (2016): Moldova, in: Constitutional Politics in Central and Eastern Europe. Edited by Anna Fruhstorfer and Michael Hein, Springer VS, 359-387. This entry was posted in Europe, Moldova, Semi-presidentialism and tagged Moldova, president on January 18, 2018 by Anna Fruhstorfer. The Republic of Moldova is a small country, penned in between Romania and Ukraine. It holds the sad title of being the poorest nation in Europe. And sure, one reason to engage more thoroughly with Moldova is the unquestionable wine culture; yet even more important is its geopolitical position in between two influential poles (the European Union and Russia) and its fascinating constitutional development since its independence in 1991. The constitutional choices made throughout the last 25 years cover variations of executive-legislative relations rarely found in the post-soviet area: in an earlier blog post I described it as a ping pong game (see Fruhstorfer 2016). At the moment the game is back to a semi-presidential system with a directly elected president. In this post, I try to offer a brief overview of the campaign and an analysis of the second round of the presidential election in Moldova. One of the important slogans of the presidential campaign was in this or similar style “Viitorul Moldovei este alături de o Rusie puternică“ (Moldova’s future is with a strong Russia). This slogan illustrates the choice that was proposed to the people of Moldova. The two frontrunners after the first round of the election were generally described as the embodiment of this choice. Igor Dodon of the Party of Socialists (PSRM) plays the pro-Russian role and promised – among other things – to call for a referendum to withdraw from the European Union trade agreement. Maia Sandu played the clear role of an outspoken supporter of Moldova’s integration into the European Union. But next to these candidates, who faced each other also in the second round, there are several other important actors that in one-way or another are of interest for the understanding of these elections. I would like to mention them briefly: First, Renato Usatii, who was no candidate in this presidential election. This is mainly related to the constitutional court decision to abolish the 2000 constitutional amendment and re-establish the direct election of the president. In this decision the court excluded some provisions. Most importantly it did not return to the age limit for running as president as stipulated by the 1994 constitution. This means the court showed great judicial activism and thus presumably excluded Usatii from running for president. In his place, Dumitru Ciubasenco (a journalist and self-proclaimed opponent of Plahotniuc’s oligarchic regime) ran as candidate for Our Party (he received only 6% of votes during the first round). Another candidate, Andrei Năstase, withdrew his candidacy shortly before the election in support of Maia Sandu. Some argue that he was forced to do so by external pressure (i.e. the United States of America), but Năstase claimed he wanted to help in building a strong anti-Dodon coalition led by Sandu. The presidential bid of Marian Lupu, the chairman of the Democratic Party (Tass 2016) took a similar road, he also withdrew in support of the pro-EU candidate Sandu. After the first round of the presidential election, during which only 49% of eligible citizens cast their votes (Rusnac 2016), none of the candidates received the necessary absolute majority. 48.3 % votes for Dodon and 38.4 % for Sandu (Rusnac 2016). These two candidates were then also the choice that represented itself to the people of Moldova: voting for Igor Dodon from the Party of Socialists (PSRM), an outspoken Putin fan, who campaigned for closer ties with Russia (BBC 2016) or voting for the pro-EU candidate Maia Sandu. Dodon won with 52.28% of votes (47.82 voted for Sandu). The voter turnout for the second round (53.54%, see BBC 2016) increased, which I initially assumed would lead to a better chance for Sandu to win the election. So why did Igor Dodon win? There are several reasons and we have to analyze each of them very carefully in further research: Yet for this post I will suggest that the following aspects played an important role. First, the campaign for the second round was – although brief – dirty, revengeful and consisted merely in the smearing of candidates. But Dodon also managed to paint a slightly different picture of his ties with Russia than during the first round. This obviously was intended to gain the support of more moderate voters. It is also astounding that an anonymous ambassador for a EU member state revealed, “Dodon had privately told diplomats his party would not jettison the EU accord“ (CBC News 2016). But still, Dodon (Minister of Economy during the ruling of the communist party 2006-2009) was running a smear-campaign. He attacked Sandu, her integrity and her past as member of the ruling elite (she was Minister of Education 2012-2015). He even tried to associate her with the devastating billion-dollar heist that left the country’s monetary system in peril (as far as the evidence suggest this allegation is unsubstantiated and she even demanded a more thorough investigation, see Brett et al. 2015). Furthermore Dodon was supported by traditional media, had a much stronger ground game and was even supported by the Moldovan Orthodox Church (RFE/RL 2016). The support of the church is a particularly interesting element in this election as it points to an increasing influence of the Russian Orthodox Church on Moldova (a phenomenon which can be observed in a variety of post-soviet countries). It is also worth noting that parts of the church leadership also engaged in the smear campaign against Sandu. Similarly, the media support for Dodon might seem surprising as one of central figures in Moldovan politics and owner of a large media group is Vlad Plahotniuc, vice chair of the pro-EU Democratic Party (PDM). His role is mysterious. Some argue that he did not declare his support for Sandu publicly (see RFE/RL 2016), although some reports suggest otherwise (Popsoi 2016). Either way if Sandu had his support it was not necessarily helpful for her campaign; some labeled the support “toxic“ (Popsoi 2016). What is even more unexpected is that traditional media largely owned by him seem to have been more inclined to support Dodon. Some reports even claim that Dodon used Plahotniuc’s private jet during this campaign, but I cannot confirm this information with reliable sources. As in many semi-presidential systems, also the Republic of Moldova now faces a period of cohabitation. It is unclear how confrontational this one will be. Prime Minister Pavel Filip from the Democratic Party (PDM) suggested a pragmatic working relationship. Thus, it remains to be seen if the future actually holds a Filip-Plahotniuc-Dodon cooperation or if we will observe a further perpetuation of the conflict between the government in favor of EU integration and a head of state in favor of close ties with Russia. Constitutional Amendment. 2000. Law No. 1115-XIV of July 5, 2000. Monitorul Oficial al R. Moldova, No. 88–90 July 28, 2000. Chișinău, July 28. This entry was posted in Europe, Moldova, Semi-presidentialism and tagged elections, Moldova, presidential election, Russia, semi-presidentialism on November 16, 2016 by Anna Fruhstorfer. In this post, I examine the game of constitutional ping-pong  in Moldova. After a surprising ruling of the Moldovan Constitutional Court, the president will be now once again directly elected. In the following, I will describe the constitutional amendments, amendment attempts concerning the presidential elections and the recent ruling to justify the Ping-Pong label. With the acceptance of a new democratic constitution in 1994 the process of democratization of the Republic of Moldova experienced a first success. However, the process of transformation has since shown severe difficulties. Most importantly, the 1994 constitution failed to establish a clear separation of competences, especially favoring presidential dominance. As stipulated in Art. 78, Sec. 1 of the 1994 constitution, the president was directly elected with a term of four years (Art. 80, Sec. 1) and could only be reelected once (Art. 78, Sec. 5). Constitutionally, the president had a dominant position compared to the prime minister, in particular for the dissolution of parliament. In addition to the purely formal nomination of the prime minister (Art. 98), the president’s right to dissolve parliament after two failed investiture attempts featured as both a presidential threat of force and a measure to discipline the fragmented parliamentary parties. The president had the option of nominating two constitutional court judges (Art. 136, Sec. 2) and the right of legislative initiative, including constitutional amendments (Art. 73). He had – and still has – a suspensory legislative veto (Art. 73 and 93). The first attempt to change the basic configuration of the political systems was the 2000 constitutional amendment. The events leading to this constitutional amendment were accompanied by changing party constellations and the instability of the parliamentary party groups. In a first step to solve the increasing confrontational relation between the main political actors, then-President Petru Lucinschi tried to force a further concentration of presidential competences with a national referendum. However, this referendum, which would have resulted in the sharp increase of presidential power, did not receive the required quorum of 60% (Elections Code of the Republic of Moldova 1997). But this confrontational approach by Lucinschi triggered a parliamentary response – namely a constitutional amendment changing the fundamental structure of the political system to a purely parliamentary system. According to this amendment, the president was no longer directly elected, but had to be elected by a 3/5 majority by parliament (Art. 78). This 2000 constitutional amendment also included other principles, e.g. the presidential right to nominate constitutional court judges (Art. 136, Sec. 2), the president’s right to initiate constitutional amendments (Art. 141c), and it limited the functions of the president during the nomination of the prime minister (Art. 98, Sec. 4). In turn, the position of the government was explicitly strengthened to the detriment of the president. Most importantly, Art. 73 was amended with Sec. 3 providing precedence to governmental and deputy legislative initiatives in the parliamentary legislative process. However, this constitutional amendment did not have the intended effect. This became especially apparent in 2009. The provision that the president had to be elected by a three-fifths majority (meaning 61 votes) was particularly problematic. After the end of the term of President Voronin from the Communist Party and the parliamentary elections in April 2009 the Communist Party had 60 mandates, but did not succeed at gaining one additional vote from the opposition. After the July 2009 elections, the Alliance for European Integration (Alianța pentru Integrare Europeană) gained a majority of 53 mandates and was thus able to form the new government – but not to elect a new president (BBC News Online). Deadlocked for 900 days, this was a self-inflicted constitutional crisis based on the specific majority construction: The electoral procedure for the president required that after a failed first round of presidential elections in parliament, a second election has to be held within 15 days. Otherwise, the acting president has to dissolve parliament and call for early elections. With the higher majority necessary to elect the president than to elect the prime minister, a constitutional crisis was always on the brink. During this political crisis even a constitutional amendment to return to a semi-presidential system was seriously discussed and put to a national referendum by the government coalition. This referendum was highly disputed in its procedural legality (see for more details Fruhstorfer 2016) and also failed because of a low voter turnout of 30.07% (Adept 2010). Not being able to solve this crisis, it took until March 2012 to elect a new president (Nicolae Timoftis). Considering this brief history of constitutional politics on executive-legislative relations in Moldova, it comes at no surprise that this topic is now on the agenda again. With a thunderbolt, on March 4, 2016 the constitutional court ruled the 2000 constitutional amendment unconstitutional (Constitutional Court 2016). With this it showed an unprecedented level of judicial activism and some might be reminded of a similar process in Ukraine in 2012 (see Gallina 2016). Based on the complaint from 18 deputies from the ruling PLDM (Partidul Liberal Democrat din Moldova), the court’s decision is based on procedural problems of the 2000 process. According to Art. 141 on the amendment of the constitution, amendment laws can be “submitted to Parliament on condition that the Constitutional Court issues the appropriate recommendation supported by at least 4 judges”. It was now argued by the authors of the complaint that in particular for Art. 78 (election of the president) and Art. 85 Sec. 4, the procedure was not followed correctly as the text of the amendment initiative changed between the first and second reading in parliament. What is reported is that both the requirement of minimum age of a presidential candidate and the majority necessary to elect a president were changed between the two readings. The initial draft allegedly listed the minimum age at 35 years, and the necessary majority as 51 votes, as well as a different version of Art. 85; the implemented amendment however had a 40-year age limit and required 61 votes for a presidential election (Digi 24 2016). Based on these changes, the court now decided to actually amend the constitution by declaring parts of the 2000 amendment concerning Art. 78 invalid. This is practically a return to the 1994 constitutional provisions, at least as far as the report of the court indicates – the ruling is yet to be published in the Official Gazette. This is an unprecedented case of judicial activism for Moldova and thus very controversial, independent of the general benefit of changing Art. 78 and abolishing the 3/5-majority provision for presidential elections. Furthermore, two controversies arise now: 1) age and 2) term limit. In the 1994 version of Art. 78, the age limit for presidential candidates was 35; up to now, the decision of the court does not indicate a return to this provision. Additionally Art. 78 Sec. 5 on the term limit was also not reinstated. It will be interesting to read the official ruling to find out if these two provisions were left unchanged, which would be – according to some news outlets – very convenient for further political intrigues (e.g. banning certain political actors because of their age to run for president). Fruhstorfer Anna and Michael, Hein. 2016 (forthcoming). From Post-Socialist Transition to the Reform of Political Systems? Comparing Constitutional Politics in Central and Eastern Europe, in (ibid). Constitutional Politics in Central and Eastern Europe (2016). Fruhstorfer, Anna. 2016. “Constitutional Politics in Moldova.” In Constitutional Politics in Central and Eastern Europe. Edited by Anna Fruhstorfer and Michael Hein, forthcoming. Springer VS.
Quinlan, Paul D. 2002. “Moldova under Lucinschi.” Demokratizatsiya 10(1): 83–103. With thanks to Nicole Gallina, who described a similar process in Ukraine also as Ping-Pong game (see Fruhstorfer/Hein 2016). This becomes even more interesting, when we believe the statement that some deputies did not even know the detailed provisions as can be seen in a comment of a non-communist member of parliament: “None of us had carefully read the law concerning the procedure of election of the president” (cited according to Quinlan 2002, 100). This entry was posted in Europe, Moldova, Semi-presidentialism and tagged Constitutional Reform, Moldova, semi-presidentialism on March 8, 2016 by Anna Fruhstorfer. Moldovan politics, which have been a recurrent scene of crisis and scandal over the course of many years has once again entered into a period of upheaval. On October 29th a no confidence vote brought down the government of Valeriu Streleț (Liberal Democratic Party of Moldova). Streleț had only been in office since late July at the head of a three party pro-European coalition the Alliance for European Integration III made up of his party along with the Liberal Party and the Democratic Party. His was the second government formed since elections in November, 2014. The first, formed by Chiril Gaburici after three months of difficult negotiations, fell in June of this year over allegations that he had falsified his educational credentials. This time the immediate source of the problem is an ongoing and monumental banking scandal that led to the arrest of one of the most important political figures in the country, Vlad Filat, PLDM party leader and a former Prime Minister. Following months of unrest and street protests focused on pervasive corruption and monopolization of Moldova’s political life by a small number oligarchs, Filat was stripped of his legislative immunity in a vote which passed with the support of 79 out of 101 member parliament. He was then detained and led out of the Parliament in handcuffs on Thursday, October 15th. Former Prime Minister Filat has been charged by anti-corruption officials with complicity in the theft of over $1 Billion from the Moldovan banking system earlier this year. The banking fraud, which amounted to around 12% of the country’s total GDP, is thought to have been coordinated through a group of companies controlled by another of the country’s well entrenched oligarchs, Ilan Shor, who was elected Mayor of the city of Orhei in June 2015 elections, despite allegations of his involvement in the banking fraud. Filat’s arrest came after months of protests in central Chisinau. The protest movement was led by two distinct groups. The first of these is a pro-European umbrella civil society organization, the Platform for Dignity and Justice. It is associated with a number of liberal civil society leaders and their supporters. At the opposite political pole, growing pro-Russian sentiment coalesced around the Party of Socialists of the Republic of Moldova, and Our Party “Partidul Nostru” (PN) the political vehicle of firebrand pro-Russian politician Renato Usatii. Following Filat’s arrest, pressure against the government continued, both within the parliament and among the population. Calls continued for more thoroughgoing reform and a more general investigation and house cleaning within the justice system. Ultimately it was Prime Minister Streleț’s resistance to this pressure that led to his government’s fall. The no confidence vote in the Streleț government and Filat’s arrest reflects another clash in the ongoing battle for political dominance between Filat and one of his two coalition partners, Vlad Plahotniuc and the Democratic Party (PD). Dismissing the Strelet government only possible when the PD broke with its coalition partners and supported the PSRM and the Communist Party of Moldova on the measure in a 65 out of 101 member vote. While formally led by party president Marin Lupu the PD is widely understood to be under the control of Plahotniuc, a long time and bitter rival of Filat. Plahotniuc, who also came under suspicion in the banking affair, gave up his seat in parliament and voluntarily stepped down as the PDs first vice-president on October 15th, the day of Filat’s arrest, stating that he did not wish to be associated with the party until the banking fraud investigation is completed. The likely outcome of early elections would be a substantial gain for pro-Russian parties and serious problems for pro-EU politicians, who are now thoroughly compromised in the eyes of the public. Recent polling by the International Republican Institute (Public Opinion Survey Moldova: September 29 – October 1 2015) shows the pro-Russian Parties, Igor Dodon’s PSRM and Renato Usatii’s Our Party (currently not in parliament), to have widespread support, leading each of the three AEI partners that have governed the country since 2009 by two to one. Finally, to place all this in the regional political context, Our Party and the PSRM both clearly have the support of the Russian Federation, and both have supported Moldova’s adherence to the Eurasian Customs Union over association with the European Union. The rapid rise of the PSRM in the past three years is largely the consequence of defections of more pro-Moscow members from the PCRM. Its leader, Igor Dodon, has frequently met publically with high level representative of the Russian government. Our Party is completely a personalist vehicle of Renato Usatii. Usatii, who has been implicated in Moldovan financial misdeeds over the years, pursued a business career in Russia for several years before returning to Moldova and entering politics in 2014. His party during the 2014 legislative elections “The Party of Renato Usatii,” (PaRUs) was excluded from participation in because of violating election laws by receiving financing from foreign sources. He was elected mayor of Bălți, Moldova’s second largest city, which has a large Russophone population in June’s local elections. Since assuming leadership of Our Party, Usatti’s attacks on the AEI III coalition have been unremitting. His populist appeal clearly resonates with disillusioned voters and undermining support for the pro-European parties. This entry was posted in Europe, Moldova and tagged government collapse, Moldova on November 11, 2015 by William Crowther. Moldova – Electoral Dysfunction Approaching its End? Moldovans are once again considering changes to the rules governing election of their president. The current election system has been the cause of recurrent crises, and if not changed promises to be so once again in the upcoming 2016 presidential election. Until recently, presidents have played a central role in Moldovan political life, and competition among top leaders to achieve the post has been intense. During the first decade of the postcommunist period Presidents Mircea Snegur (1990-1997) and the Petru Lucinschi (1997-2001) made use of the post as a counterbalance, sometimes more and sometimes less effectively, to the fragmented legislature. In the following decade Communist Party of the Republic of Moldova (PCRM) leader, Vladimir Voronin (2001-2009) was able to effectively exercise both executive and legislative authority from the Office of the Presidency. It is only since the most recent presidential election, held in March 2012, that the role of the Pesident has declined in significance. President Nicolae Timofti, the current incumbent, was selected for the position in order to end a deadlock between the dominant political party leaders, none of whom was willing to see one of the others assume the office. Previous to becoming President Timofti served as Chairman of the Supreme Council of Magistrates and was a political independent. Without control over major party resources, he was counted on not to emerge as a major competitor for power. He was apparently expected to remain neutral in the internecine disputes among ruling coalition members and to support the broad direction of established foreign policy orientation. During his tenure in office President Timofti has occasionally engaged in controversial partisan activity, but has in general lived up to these expectations. Since Independence, Moldova has employed two presidential electoral systems. Like many post-Soviet republics it implemented direct election of the president at the time of the USSR’s break-up. Initially named President by the country’s last Supreme Soviet, Mircea Snegur implemented direct election to the office and was made President by popular vote in December 1991. Direct election of the president was retained in Moldova’s first constitution in 1994 and was employed for a second time in 1996 and resulted in the election of Petru Lucinschi. The following four years, however, were characterized by a nearly constant struggle between the legislative and executive branches. By the end of his term Lucinschi was actively lobbying for transition to a presidential system of government. In order to block Lucinschi’s election to a second term and avoid that outcome legislative leaders banded together in December 2000 to modify the constitutional regarding presidential election. According to the new formula the president was to be elected by parliament. Election requires the support of 3/5s, or 61 of Moldova’s 101 MPs. If no one wins, a second round it held between the top two candidates. If no one achieves success in the second round a new contest must be organized. If that ballot fails to produce a winner, new parliamentary elections must be called. The new system, which remains in effect at present, immediately proved itself unsound under Moldovan political condition. On its first use in 2000 repeat elections failed to produce a winning candidate, leading to dissolution and early legislative elections in 2001. Those elections brought a Communist majority to power in Parliament. The following two presidential contests proceeded smoothly as a consequence of the PCRM’s legislative dominance, giving Vladimir Voronin first round wins on each occasion. By the time of April 2009 legislative elections the Communist dominance had waned significantly. As a consequence the weaknesses of the 2000 presidential electoral rules resurfaced, producing a cycle of ongoing crisis. This began with the failure to elect a president after repeat attempts in May and June 2009. The repeat parliamentary elections held in July as called for by the constitution increased support for a new anti-communist coalition, the Alliance for European Integration (AEI), but left the Communists with sufficient seatsin parliament to block election of a President. According to the Constitution repeat elections could not be held again within a year, so AEI leaders employed the device of appointing one of their number, Liberal Party leader Mihia Ghimpu, Acting President until new parliamentary elections could be held. They then called a referendum designed to return the country to direct presidential elections. This measure, held in September 2010 gained nearly 90% support from those who participated, but did not achieve the 33% turnout required to alter the Constitution. On the failure of the referendum Moldova’s Constitutional Court called for Parliament to be dissolved. New legislative elections were held in November 2010, again without producing a majority sufficient to either elect a President or alter the Constitution from within the legislature. Once again, resort was made to the expedient of naming an acting-president, in this case Democratic Party (PD) leader Marian Lupu, while efforts were made to resolve the impasse before another round of early legislative elections would be required. Finally, after an abortive effort in Parliament to elect Lupu President on December 16, 2011, and under the pressure of a looming third set of early parliamentary elections, AEI party leaders with the support of defectors from the communists managed to elect President Timofti with 62 votes in March 2012. Regularly scheduled parliamentary elections in November of last year left parliament once again in a state of disarray, with the former governing AEI coalition parties (Liberal Democrats (PLDM), Liberal Party and the Democratic Party) deeply divided and without sufficient votes to elect a President. When coalition negotiations between the former partners broke down a short-lived minority government which depended on parliamentary support from Voronin’s Communists was formed by the PLDM and the Democratic Party. That government, headed by Prime Minister Chiril Gaburici, collapsed this June amidst charges of massive corruption by political leaders and the failure of the Moldovan Banking System. On July 23nd the previous pro-European AEI parties signed an agreement to resume their coalition based on a common program and a new division of ministerial and government posts. At the same time they agreed to reform the presidential electoral system in order to avoid the recurrent crises that have plagued the country’s politics as presidential elections approach in 2016. According to the new system, which will be submitted as a referendum, the President will continue to be elected by the Parliament, but in a new three round procedure. In the first round 61 votes would be required as at present. If no candidate succeeds a second vote will be held in which 57 votes will be required. If that vote fails, a simple majority of 51 will be needed to elect the President. Since the pro-European parties currently control 55 seats, they should in principle be able to successfully elect a common candidate. The largest parliamentary party, Party of Socialists of the Republic of Moldova (PSRM), immediately rejected the measure, calling for direct popular election to the post. This position was formerly held by the Reform Liberal Party (splinter faction of the PL) and Liberal Democratic Party leaders, who attempted last year o introduce a referendum for direct presidential election that would have been held in tandem with parliamentary elections, They were denied the right to do so by the Constitutional Court on the grounds that insufficient time was provided between introduction of the measure and the vote. Will the measure pass? While indications are that the majority of the population would prefer direct presidential election, it is clear that the dominant party leaders are unwilling to allow control of the presidency to slip from their hands at this point. Neither, though, do they wish to continue on in the current state of perpetual crisis. The majority legislative vote proposal at least holds out for them the possibility for resolving the problem. It will in all likelihood be supported by Moldovan voters, if they are given no other choice. This entry was posted in Europe, Moldova and tagged Constitutional Reform, Moldova, Presidency on July 29, 2015 by Robert Elgie. Moldova’s eighth national legislative election since independence, held on Sunday November 30th, promises little change in the pattern of elite discord that has characterized the country since 1991. Overall turnout declined from 63.37% in the preceding 2010 election to 55.50% in the current contest. This year’s turnout is by a small margin the lowest at the national level thus far. The slump in electoral participation reflects a pattern of declining confidence in the leadership that assumed control of Moldova’s government following the electoral defeat of the Communist Party of the Republic of Moldova (PCRM) in 2009. Democratic Party of Moldova (PDM), 15.94% of votes, 19 seats. Liberal Party (PL), 9.53% of votes, 13 seats. While Moldova’s voters consistently placed poverty, prices and unemployment at the top of their concerns in the months leading up to the election, the country’s foreign policy orientation dominated political discourse. Public opinion surveys indicated a clear and very close division between those favoring closer affiliation with the European Union and those favoring accession to the Russia, Belarus, Kazakhstan Customs Union. During the electoral campaign, political parties also positioned themselves on this question, with the left-leaning parties espousing neutrality or a pro-Moscow orientation or neutrality, and the center-right parties supporting more or less exclusive versions of European affiliation. The outcome of the election favored the center-right. The three parties that made up different configurations of the pro-European Union coalition, the Alliance for European Integration (AEI), that has governed Moldova since 2009 gained sufficient votes to return to power. Between them, the Liberal Democratic Party, the Democratic Party and the Liberal Party should account for 55 seats in the new parliament. Leaders of all three parties have indicated their intention to enter into a new coalition and formal negotiations are set to begin once final election results are announced. This outcome, however, does not promise a pacific period ahead. Competition between the three pro-European oriented parties has been intense in recent years, with their respective leaders battling for political dominance. Relations have been particularly bitter between PLDM leader and former Prime Minister Vlad Filat, PDM leader and former President of the Parliament, Marian Lupu, and PDM deputy leader, Vlad Plahotniuc. In addition to their ongoing political rivalries, conflict between the coalition party leaders has been fed by increasingly bitter charges and counter charges of corruption, and disputes over control of state institutions. In this election the PLDM, whose share of the vote dropped by approximately 10%, from 29.42% in 2010 faired worst of the three parties, while their main rival, the Democratic Party, increased its vote by about 3%. The third of the pro-European parties, Mihia Ghimpu’s Liberal Party, remained stable, with just under 10% of the vote. This was a critical test of the Liberals’ staying power. The party suffered a serious split in the Spring of 2013 when five of its MPs along with many other members left the party to form the Reformed Liberal Democratic Party (PLR) under the leadership of former PL Vice President Ion Hadârcă. Hadârcă and the Reform Liberals then replaced the PL as the third partner in the governing coalition, while Ghimpu and the Liberal Party entered the opposition. The PLR, for its part, now appears to be destined to marginalization, having won only 1.24% of the vote in Sunday’s election. On the political left, there was more significant change in the party system. From 1998 until the current election, the Party of Communists of the Republic of Moldova and its leader, Vladimir Voronin, have held hegemonic sway over their segment of the electorate. From 2001-2009 the PCRM controlled government, at one point with more than 70% of parliamentary votes. In the past two years, however, the party has fallen into disarray. In late 2012 several high-level leaders of the PCRM left the party over concerns regarding the party’s direction. The defectors included Igor Dodon, former Prime Minister, Ziniadia Grecianȋi, and party stalwart Vladimir Mişin. Igor Dodon undertook the leadership of the PSRM in 2013 in an effort to constitute a coherent alternative to the PCRM. Dispute within its ranks over both ideological direction and Voronin’s leadership continued to plague the party even after the 2012 defections. In June of this year, Mark Tkaciuk, along with two of his allies were abruptly excluded from leadership positions in the party. Tkaciuk, known as the PCRM’s ideologist and widely thought of as second in command to Vladimir Voronin, later left the party and renounced his position in parliament. The cost of the ongoing discord is now evident in the PCRM’s unexpected relegation to second place on the left behind Dodon’s reinvigorated Socialist Party. While the two parties share similar domestic political agendas, Dodon and the Socialists have painted the PCRM as part of the entrenched and corrupt political establishment. With regard to international orientation, the Socialists are closely aligned with Moscow, insisting that Moldova renounce its association agreement with the EU, while the PCRM favors a position of neutrality between the two blocks. A second source of upheaval on the left was the meteoric rise and equally rapid fall of Renato Usatȋi, a Moldovan with business interests in Russia, where he has resided in recent years. Usatȋi, who is widely thought to have connections to Russian organized crime, returned to Moldova and entered into political activity in the run-up the election in 2014. After failed efforts to assume control of one party, and then to form a party of his own (The Party of Renato Usatȋi), Usatȋi announced his attention of running in the first position of the Patria Party party list. Championing a populist and pro-Russian message, he immediately began to attract popular support, which appeared to have reached around 10% of the population, well above the level required for entry into parliament. Four days prior to the election the Central Election Commission requested that the Court of Appeals exclude Patria from the completion because the party had violated election laws by receiving campaign funds (around 8 million Moldovan lei) from Russian sources. The CEC decision was upheld by the Moldovan Supreme Court, and Usatȋi fled Moldova in order to avoid prosecution. Many assume that the unexpectedly high level of voter support for the PSRM is in part accounted for by the migration of Usatȋi’s pro-Russian supporters to that party following Patria’s exclusion. To sum up, this election does little to change Moldova’s overall political landscape. On the positive side, the country’s pro-European international orientation remains unchanged. More to be regretted, the government will remain in the hands of bitterly divided coalition partners leading cleintellist parties, who agree on little except for their common interest in retaining power. This prospect holds out little hope for progress in taking on the entrenched corruption that has been the bane of Moldovan politics since independence. This entry was posted in Europe, Moldova and tagged Moldova, parliamentary elections on December 4, 2014 by Robert Elgie.